Brawl offers a wide variety of unique server gamemodes in the Minecraft community such as Survival Games, Counter-Strike, and Skywars to name a few. Brawl approached our team wanting a complete rebranding and redesign of their current community. 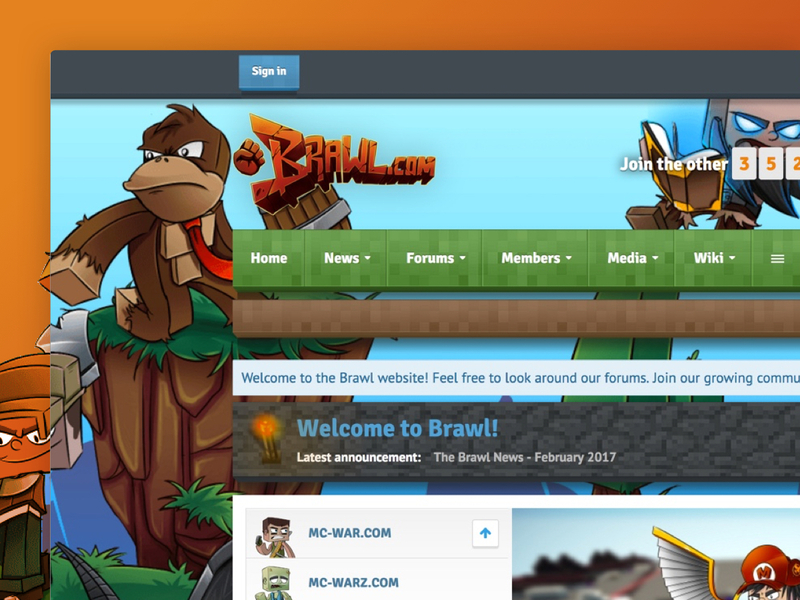 Highly-intricate illustrations had begun to become the trend in the Minecraft community and Brawl wanted to follow suit for their brand and forum.